Here lately I haven’t been buying a whole lot of makeup just because I’ve obtained so much and I actually like a lot of the things I have in my ‘makeup routine’. I know for some girls and even women, the drugstore or your Sephora can be over-whelming. It’s like “Where do I begin! 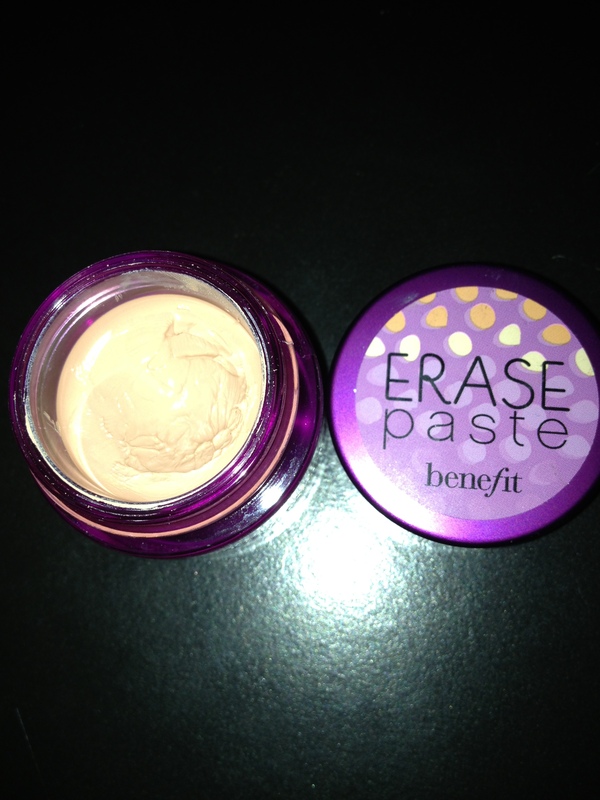 ?” Hopefully some of my favorites will inspire you to check some of these products out. I will list the price of everything below and where you can get it. I like to use this masque about every two weeks to really cleanse my pores. Masques like this usually break my face out, but this one has been very kind to my skin so far. It’s a mint green clay that is supposed to clear your face of impurities, shrink enlarged pores, dry up acne pimples, and rinse away blackheads. When I first used this, the cooling effect of the clay felt like my face was burning and on fire — but in a good way haha. I find it to be refreshing now that I’m getting use to it. Prepare to look like SheHulk. 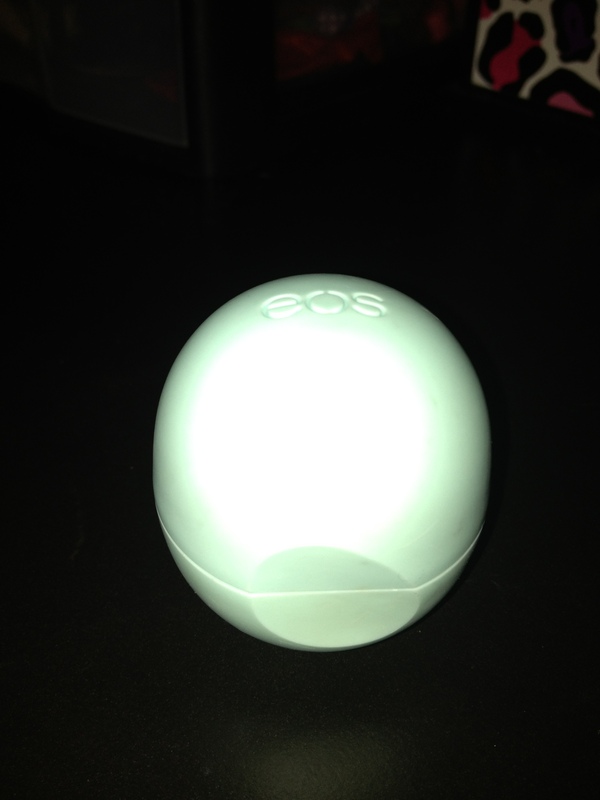 I feel like I have this mint theme going on, but I seriously love this lip balm out of all of the flavors EOS has. These balms are 100% natural, 95% organic, and they have shea butter and vitamin E. This has a light-weight formula and the taste is very pleasant, it’s just a tad sweet but nothing overwhelming. 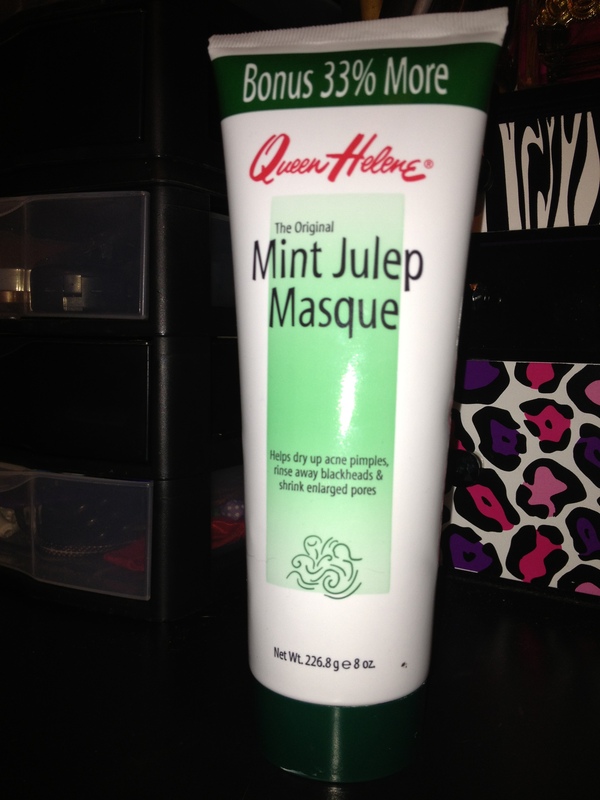 I find sweet mint to be very moisturizing and it makes my lips feel so soft. Every since I’ve been using this, I haven’t had to scrub my lips as often with those ‘sugar scrubs’. I have a blog on that by the way if you’d like to check it out. Just click here!!! The flash isn’t doing my pictures much justice, but this is an extremely peachy concealer that can cover dark circles like a dream. The dark circles underneath my eyes are hereditary and this stuff makes them vanish. This has a thick texture so you only need a little to get the job done. I like to pat it underneath my eye with my index or ring finger, then blend the rest of it out by stippling it with my foundation brush. This is on the pricey side, but so worth it! You get just a little over 4 grams of product. TIP: If you can’t fathom spending that kind of money, Pixi makeup (which is sold at Target stores and online) has an eye brightening concealer in ‘brightening peach’ that is an exact dupe for the erase paste in the color light. I love peach blushes, especially to blend in with my contour/bronzer. It makes your face look naturally flushed and glowy. If you’re scared of blush and you’re not one who thinks you can ‘pull it off’, seriously, purchase this as your first blush. It’s natural but very buildable. It has a satin finish meaning it has very finely milled shimmers in it, however it’s very subtle and it will not enlarge your pores like some sparkly blushes can do. It’s silky texture makes it easy to blend and work with. 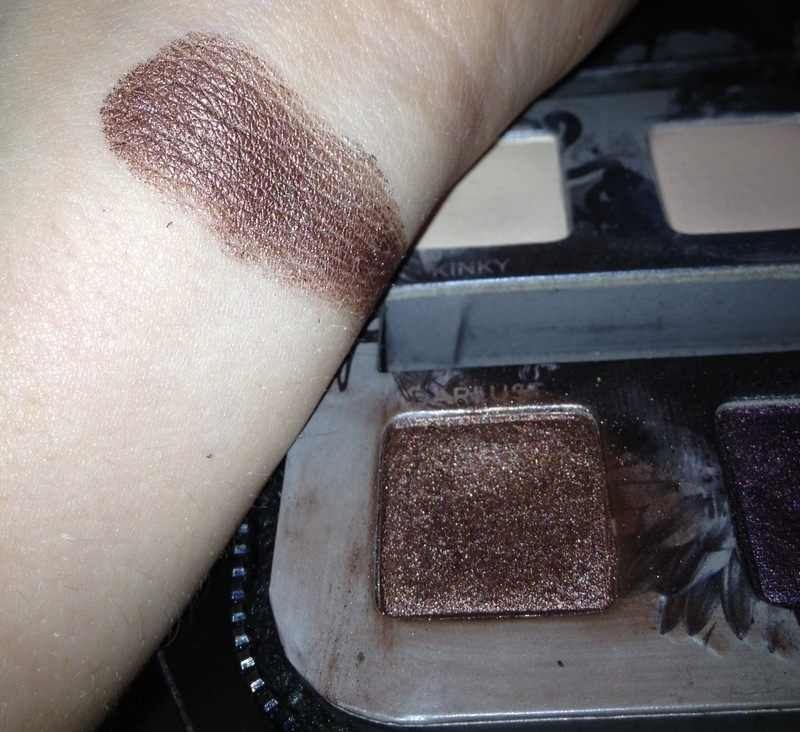 Not all brown eye shadows are alike and this one is ahhhmazzzzzing! It has a slight purply-red undertone to it and I love it! It looks gorgeous especially on blue eyes because of the warm undertones in this color. 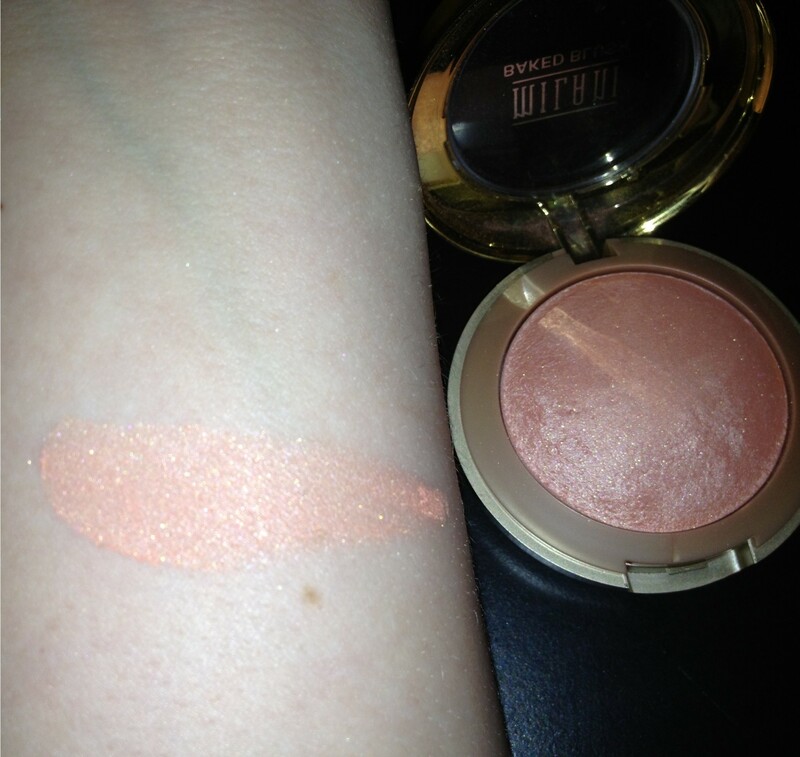 If you have a Sephora or Ulta near by, go swatch this color in the store. Urban Decay is hands down my favorite eye shadows because they’re long-lasting, easy to blend, and extremely pigmented (meaning you do not need to dig your brushes in them). A little goes a long way and the price may take you back a bit, but trust me, you’re buying quality. I hope you enjoyed this blog! If you have any questions please comment below :]!! Posted in Beauty, Bored, Makeup, Random, Uncategorized, What the...?! My thoughts as of lately. I’m sure everyone is getting tired of hearing about the Paula Deen situation, but it quite frankly stirs an anger in me because this world doesn’t know how to give grace. Despite where you lean on the situation, if you screwed up would you want people to forgive you? At the end of the day, people can kiss my b-u-t-t if they don’t like what I have to say. I don’t live my life to please anyone, nor do I need to explain myself, lime light or not. We’re accountable before God, not man. A big difference between man and God is that God can look at our deepest darkest more horrible sins and still forgive us. Man on the other hand will knit-pick the heck out of the tiniest things and magnify them and hold them over our heads. Big difference. God>Man. Just saying. On the bright side of things, I’ve been in my Bible again reading the book of John. I had to watch myself the other day because I tried to speed through my readings to make up for lost times. That’s a big no-no because after I read it I was like… “What did I just read…? O_o” If you’re just trying to read to cross it off your list, then your heart is in the wrong place. Soak it all in, even if that means only reading a little bit a day. Well, I’m going to go relive my childhood through watching The Little Rascals on ABC Family :]. Have a blessed night everyone and don’t forget to tell people you love them. Not having it all together is okay. There are some days and even weeks where I just feel… blah. There’s times I neglect getting into God’s Word or spending serious time in prayer. Do you ever feel like you just can’t muster up those feelings to be obedient? You’re just tired, discouraged, full of bitterness, or what have you. I fully understand what I’m doing, I get caught up in my flesh and my feelings and I let that dictate my relationship with God sometimes. One thing I would like to state is that I’ve gotten over the whole “God will love me if I do…this or that” phase. I know His love for me isn’t based off of anything I do. 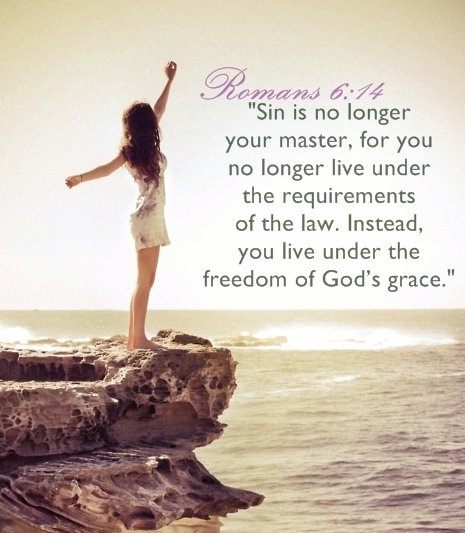 His grace is a gift no one can earn. I was praying today and just being real with God about my feelings. Sometimes as Christians we tend to base our comfort on our performance with God, but I find it scary that the times I’m doing “my best” I’m more liable to look at myself. I become self-righteous. 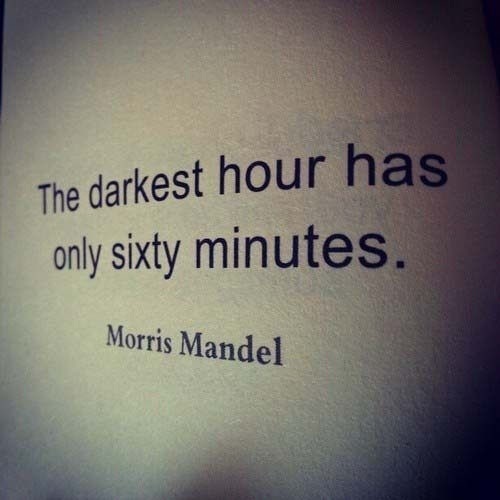 We have to learn that it’s okay to have our down times, that it’s okay to not be hunky dory all the time. We have to re-learn our dependency on God, that we need bad times and bad things to happen so we can reach those intimate moments with Him. All I know is that I need God and so do you. Be intentional about your sin. Watch your thinking patterns. Watch the patterns in your life where God is trying to take you, trying to teach you something. We go through life trying to speed through everything, thus we fail to reflect on it’s beauty. My prayers are to really learn to love people despite their flaws, because the only side of people I have seen here lately is their ugly one. *sighs* I know He’s going to use this for His glory, in the midst of your aggravations and hurts, remember Who is at hand. He has His reasons and only we can trust in that. Let’s not lean on our own understanding… after all, it’s our thinking that gets us into depression, anger, worry, trouble, etc. We have freedom in Jesus, so let’s exercise that.